Look for Great New Additions to this Site! Lots More to Come! Take 5-10 minutes both morning and evening: it's very important to practice meditation twice a day to balance male and female energies (Sun & Moon). Once a day will create an imbalance and can cause more stress, discomfort or emotion. *Sit comfortably on a chair or the floor with spine straight in a quiet room. Breathe slowly and deeply for a short time to relax your body and clear your mind. *Visualize White Light over your head. *With relaxed breathing, visualize the White Light coming down through the crown of your head and going all through your body, coming out through your hands, fingers, feet and toes. *Visualize this White Light bringing in peace, love, healing and relaxation; it takes out all your problems, stress and illness. *When you feel fully relaxed, express gratitude to the Universe for this cleansing, slowly come back, wiggle your fingers and toes and open your eyes. Set your intention for the day, what you will accomplish and maintain this meditative breathing for as long as possible. Repeat the meditation again in the evening before bed. You will sleep much better. The popularity of lasers, LEDs and other forms of technically-produced light may work on the physical body, but do not take into consideration the subtle body. Please use them with caution as they are not always kind to the energy body. The use of natural or visualized Light are much more conducive to deeper healing. The healing relationship between the sun and all living things is inherent. Humans, while having the ability to think, feel and expand their consciousness find balance and healing from light waves. People seek light, aware and unaware that this life force is crucial to their existence. Light, broken down into specific frequencies displayed as visual colors, adds to our physical, emotional and spiritual wellbeing. These frequencies interact with the body’s energy centers, known as chakras, as well as individual organs and the sympathetic and parasympathetic nervous systems. Received through the eyes, skin and bones, light and color feed the physical and non-physical body with essential nourishment. Color and Light Therapy are known to be the oldest healing system on earth, dating back to the earliest records of man's existence on Earth. Used by virtually all ancient cultures, light and color have been used very successfully to transform illnesses and imbalances in humans. Used on painted walls in Egyptian pyramids, stained glass, “solarized” liquids, colored clothes or simple sunlight, light and color have continually been a recognized scientific method for healing. As light-dependent beings, we are drawn to the outdoors for nourishment. In our homes, we create unique color palettes based on our personal relationship with specific colors and perhaps unaware that these interior color vibrations and frequencies are providing essential light. A 10th century physician and disciple of Aristotle, Avicenna, determined that color was an observable symptom of disease and the therapeutic use of the opposite color could bring about balance and the elimination of the illness. Sir Isaac Newton created a sensation in 1675 with his paper, Hypothesis of Light, and the composition of white light. French scientist, Rene Descarte concluded that the pineal gland was ‘the seat of the soul’; the light meter for the body and the creating gland for the hormone melatonin and the ‘connector to God’. In the late 1800’s Dr. Seth Pancoast and Dr. Edwin Babbitt both contributed significantly to the understanding of light’s ability to heal. Dr. Babbitt resurrected the ancient technique of solar elixirs (solar-charged liquids) in the treatment of many traditionally unresponsive conditions. A 20th century physician, Dr. Dinshah Ghadiali, introduced color healing to the United States while Dr. Niels Finsen won the Nobel Prize for his landmark research on the healing ability of ultraviolet light in the treatment of tuberculosis of the skin. The works of Albert Einstein, Fritz Popp, Max Plank and Rudolph Steiner gave proof that sunlight and its composite color vibrations correct physical disease-causing imbalances. Dr. Harry Spitler, John Ott, Dr. Peter Mandel and Dr. Jacob Liebermann have further refined color healing modalities and added the influence of color treatments directly through the eye. 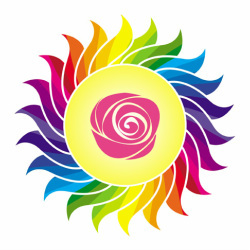 Today many doctors and color therapy practitioners around the world treat patients with color and light. Endocrinologists, ophthalmologists, brain surgeons, bio-chemists, optical engineers, psychiatrists and philosophers are studying light and its effects on the brain, eye, physical, emotional and spiritual bodies. The evidence is overwhelming that the body has within it a divine network of inner light, emitting and receiving light. Color and Light continue to fascinate and feed, attract and dispel, balance and create. On a deeper level, as we learn more about how color and light directly affect our organs, hormones, breathing, thinking and emotions, we can work with these vital elements to keep our bodies and emotions healthy and balanced. Color and Light Therapy sessions can help create the harmonious daily life functions we all seek. Color and Light Therapy can be used independently and in conjunction with traditional therapies in the treatment of physical and emotional issues.